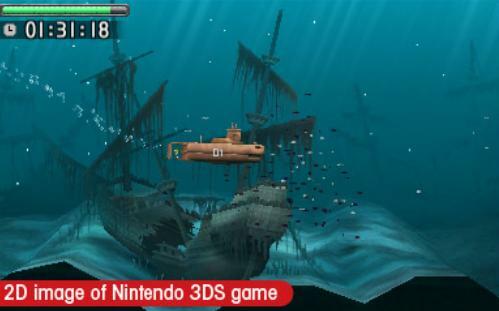 One of Nintendo's new first-party characters making a debut on the 3DS is a submarine. Wait, what? The first-party Nintendo 3DS launch window title that doesn't seem to fit amongst the bunch is Steel Diver. Nintendo calls it a "thrilling undersea adventure," but from my time with it at the New York Nintendo 3DS showcase, I'm not convinced yet. 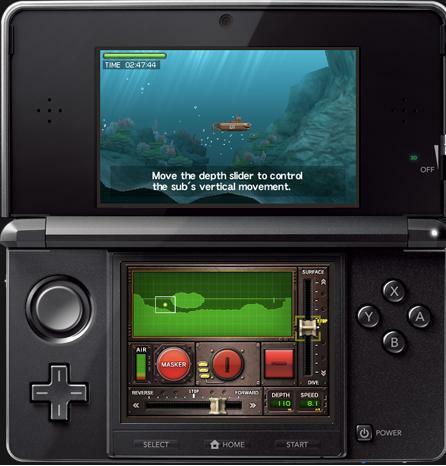 Steel Diver was once a Nintendo DS tech demo that blossomed into an entire 3DS game. Players take on the role of a submarine in various modes, including a mission campaign. I was able to try out two of its gameplay types. The campaign begins as a side-scroller with the player choosing from three different submarines. There's the fast, weak type, the mid-range, and the slow, powerful type. 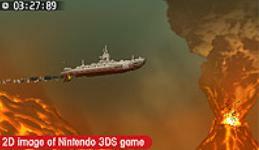 The sub is then plunged into the ocean and players must navigate it using the touchscreen. 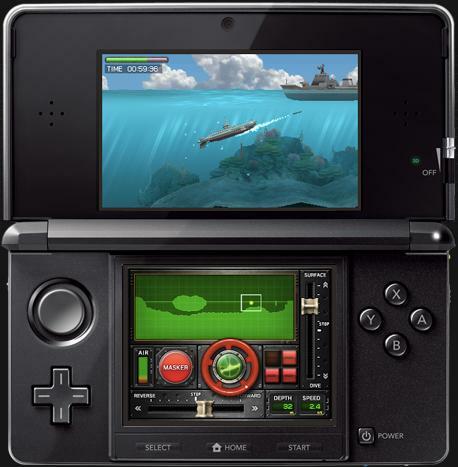 Steel Diver places a submarine's control panel on the 3DS's bottom screen. There are two levers to control depth and speed, a wheel that controls pitch to aim the sub upward or downward, buttons to tap that fire torpedoes, and a big "masker" button to hide the sub from the attacks of other vessels. If you're hit by an enemy torpedo, a leak springs on the control panel that you have to touch and press to seal. Using this panel, players must navigate the sub through undersea tunnels while trying to avoid crashing into the environment. You'll encounter enemy ships, depth charges, mines, and damaged walls to blast through. The other mode I tried takes place in first-person. It uses the 3DS's gyroscope to change an onscreen ocean view when the player rotates himself and the 3DS, just like a real periscope. When enemy ships or subs appear, players fire off torpedoes and try to take them out. Controlling the sub through the gyroscope and the control panel is all very clever stuff, but I wasn't able to tell if it makes Steel Diver fun. The parts I played felt shallow, though I only scratched the surface of the game's missions. The side-scrolling mode was slow, and firing torpedoes in first-person got old quickly. Unless Steel Diver features more depth in the final version, it may have been better off as a tech demo.